You might think that Adam Sandler has the last word when it comes to Chanuka songs. But you would be wrong! 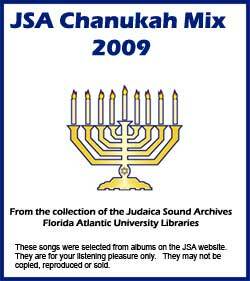 The Judaica Sound Archives has hundreds of Chanukah songs that your whole family can enjoy. This year’s Chanukah Mix highlights 17 songs by some of our favorite JSA performers.